An extensive library of 80 pattern presets is included. 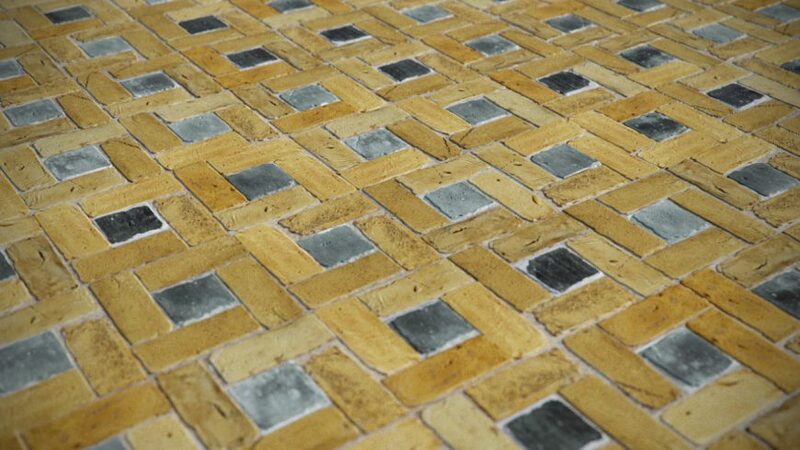 OMNITILES frees patterns from the chains of square tiles. 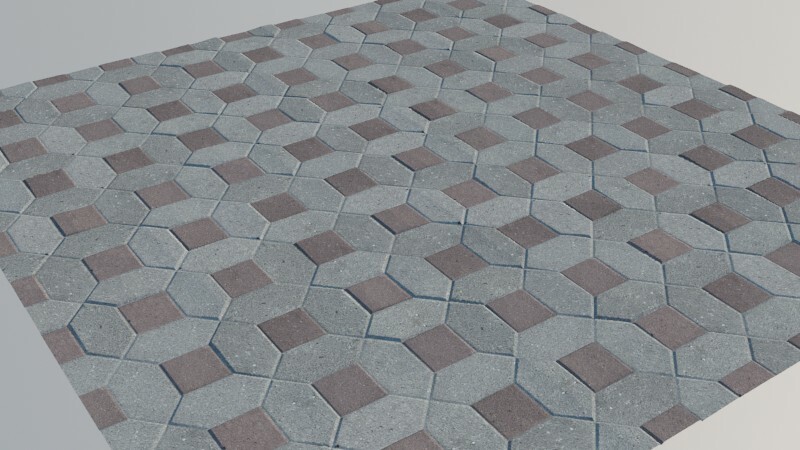 With the pattern editor, you can create any shape and virtually unlimited patterns for use in 3Ds Max® or game engines. 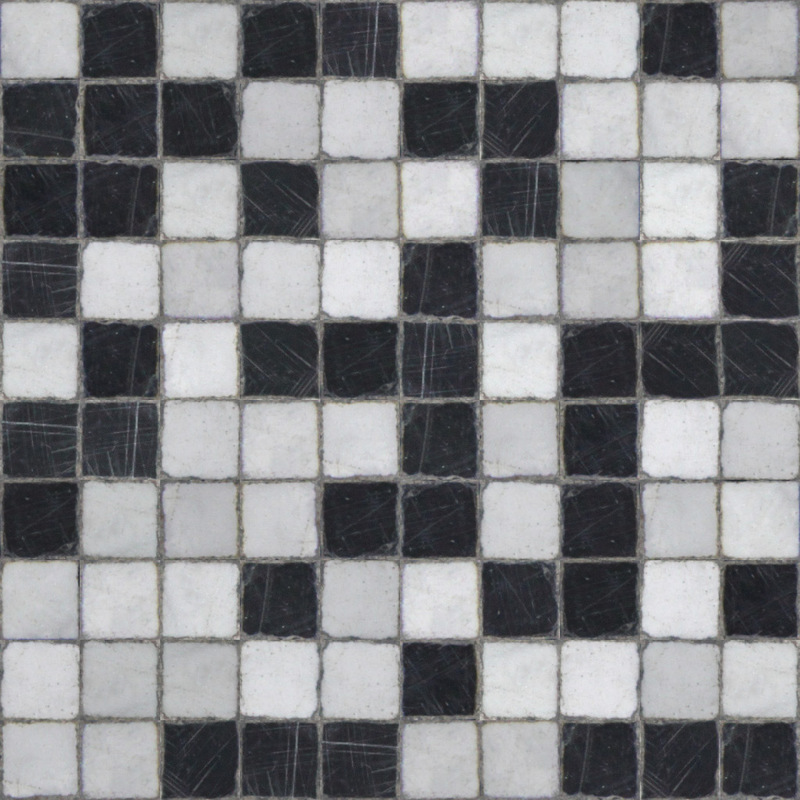 Use Cross- map for randomized bitmaps or procedural maps and use OmniTiles for any layer within your material. 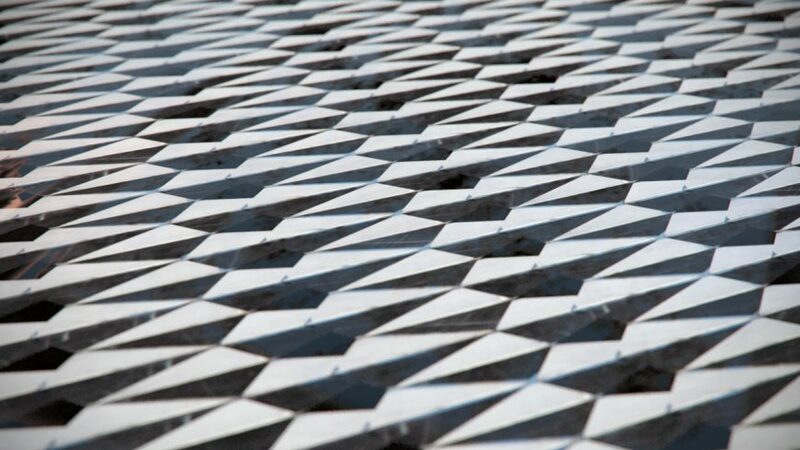 OmniTiles pattern editor makes creating patterns easy. 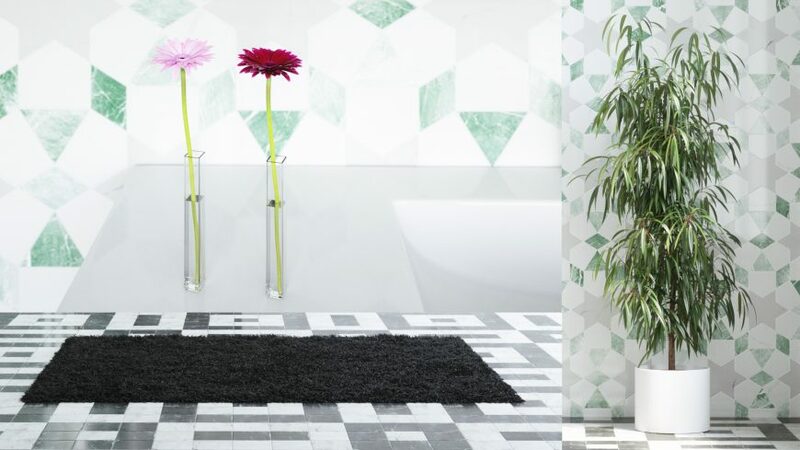 Create any shape by simply drawing lines along the edges of your tile. 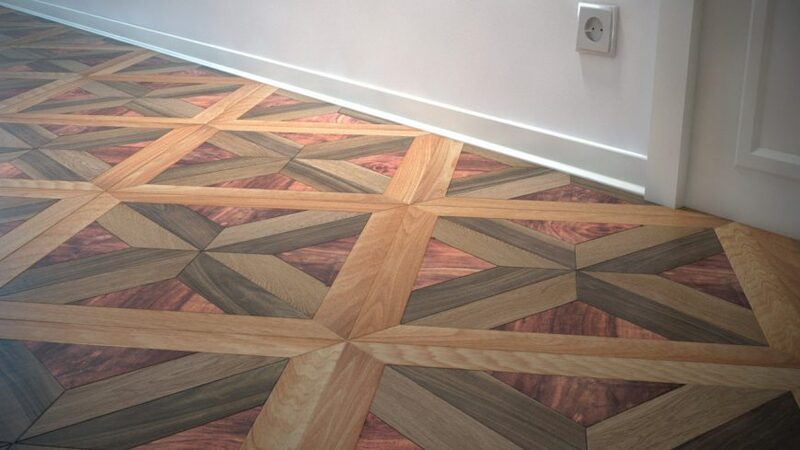 You can modify existing patterns or create entirely new ones. Each shape / tile can have it´s own map assigned, for example VP Crossmap to randomize bitmaps within each repeated tile, or procedural maps for even further freedom. Let yourself be inspired by the new freedom of OmniTiles. 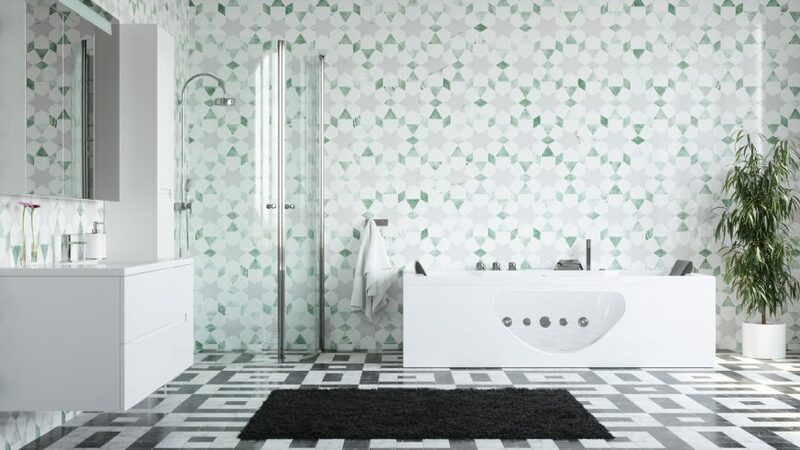 OMNITILES frees patterns from the chains of square tiles. 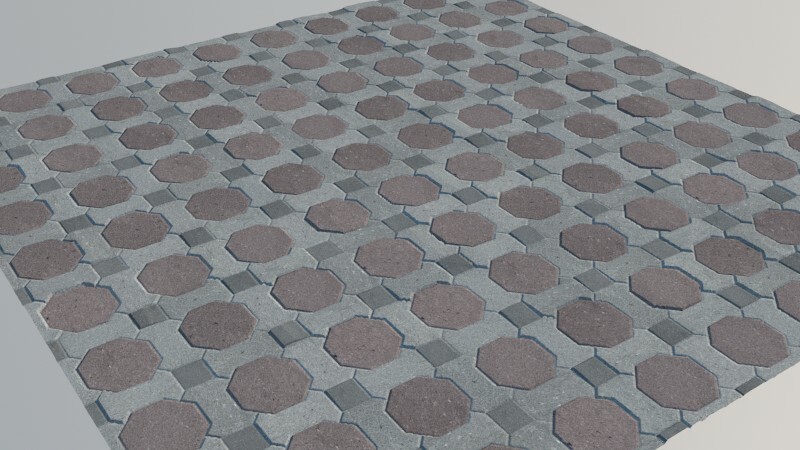 With the pattern editor, you can create any shape and virtually unlimited patterns for use in 3Ds Max® or game engines. 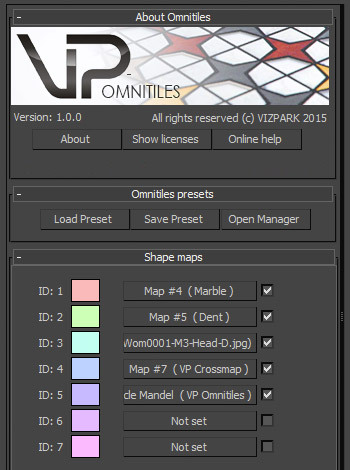 Use Crossmap for randomized bitmaps or procedural maps and use OmniTiles for any layer within your material. 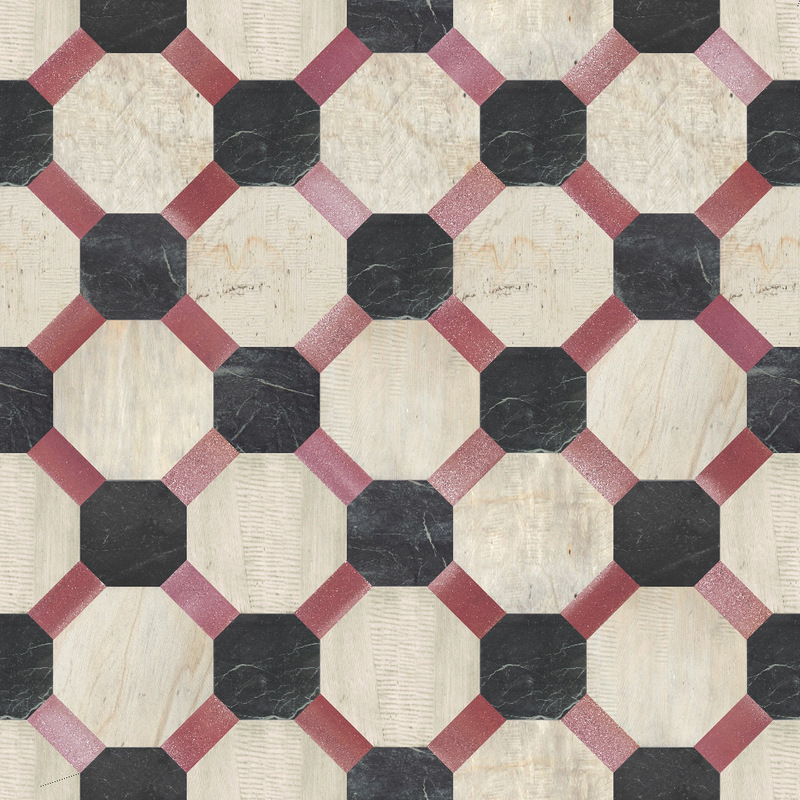 OMNITILES pattern editor makes creating patterns easy: Create any shape by simply drawing lines along the edges of your tile. 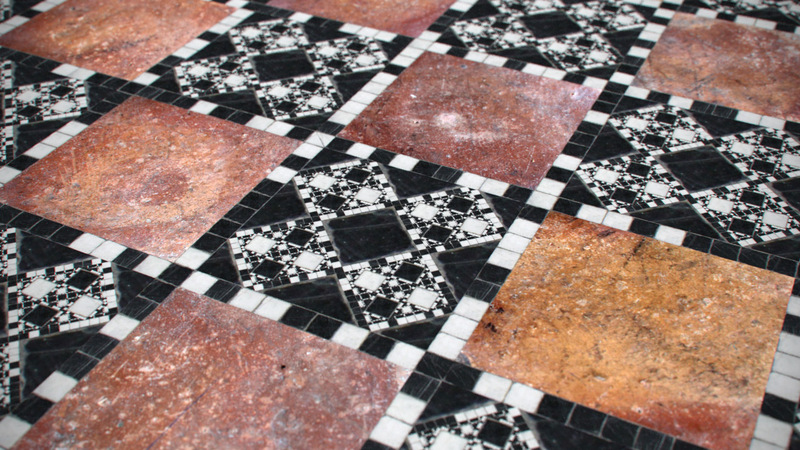 You can modify existing patterns or create entirely new ones. Each shape / tile can have it´s own map assigned, for example VP Crossmap to randomize bitmaps within each repeated tile, or procedural maps for even further freedom. Let yourself be inspired by the new freedom of OMNITILES. 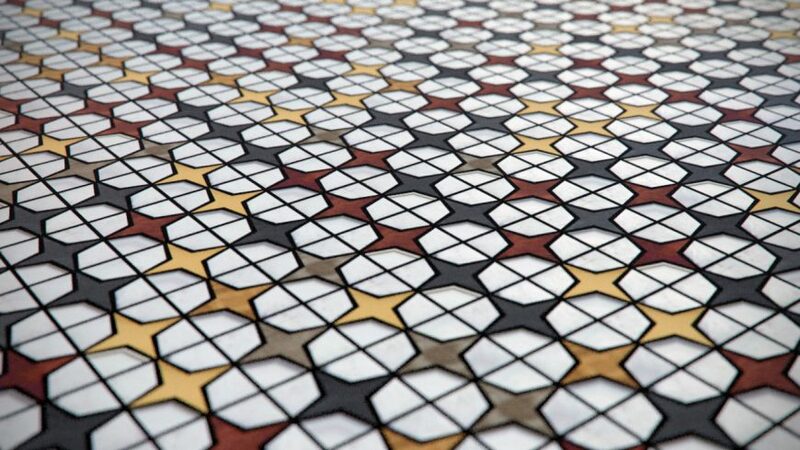 With the integrated pattern editor, exclusively developed for Omnitiles, it´s easy to create new patterns on the fly. You can draw shapes with virtually unlimited points, move, rotate, scale, mirror and duplicate shapes. 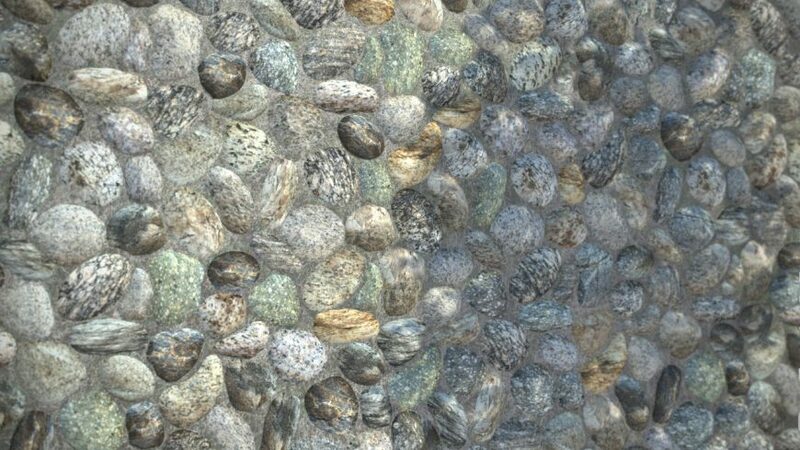 All patterns are seamless tileable, which makes Omnitiles the ideal tool to create game textures of any size and resolution. The handy Snap to Grid function will lead as guide for symmetrical patterns. You can adjust the grid pattern by dividing the grid into x/y number of rows/columns either symmetrical or individually (e.g. for brick shapes). 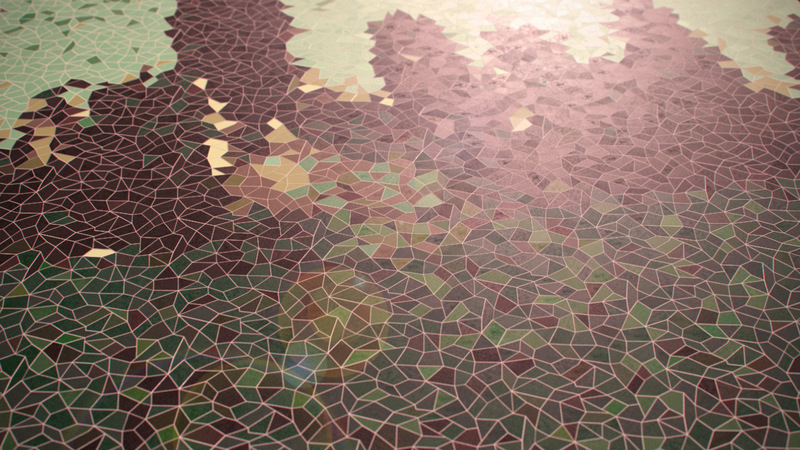 The option to display a background image serves as a guide to create patterns from photos. Material Manager is directly connected to Omnitiles so that loading, saving and maintaining maps and materials is very easy. 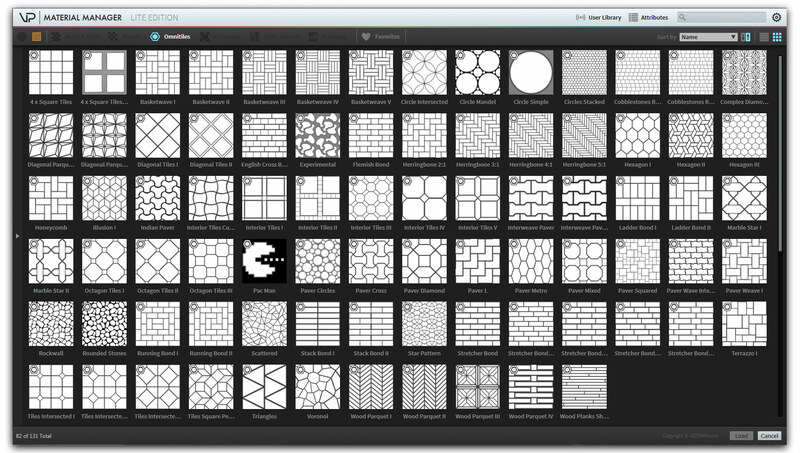 Forget about missing bitmaps, once you know the real benefits of Material Manager, you won´t want to live without it anymore. Omnitiles is made for Crossmap and Crossmap for Omnitiles. This means that Crossmap and Omnitiles connect with each other through the distribution mode “Use Omnitiles/Bercontile ID” in Crossmap. This mode will distribute the bitmaps of Crossmap randomly or in a linear sequence on all shapes of Omnitiles patterns. The same applies for the colors of Color Extract of course. 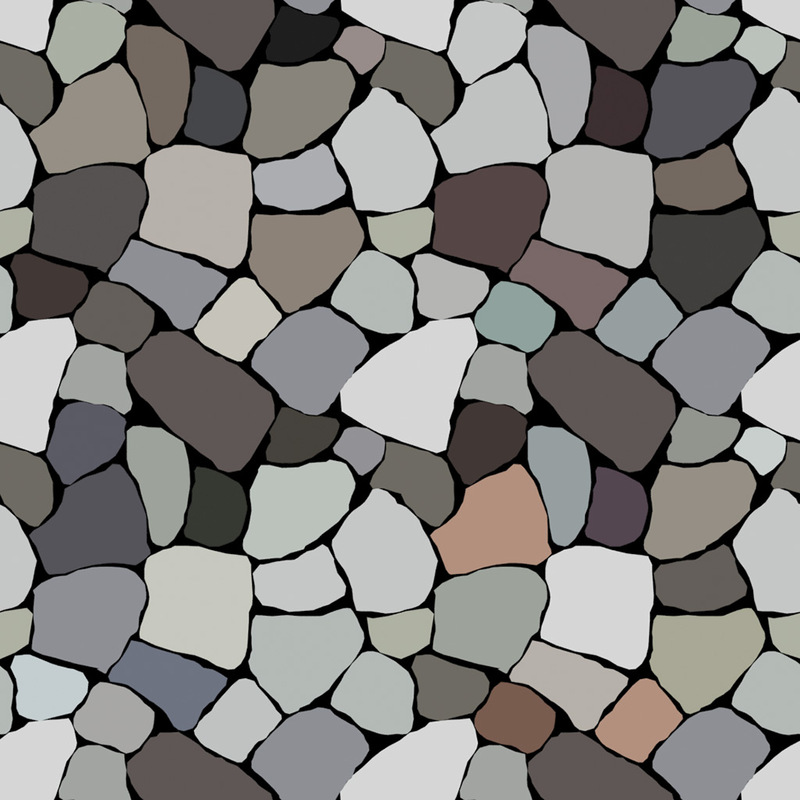 Aside of Crossmap and Color Extract, you can also use procedural maps for the shapes of a pattern. The internal mapping of Omnitiles offers a special feature for borders. Using the UV map channel 95 will draw the map procedural maps around the borders of the shapes, from the outside to the inside. 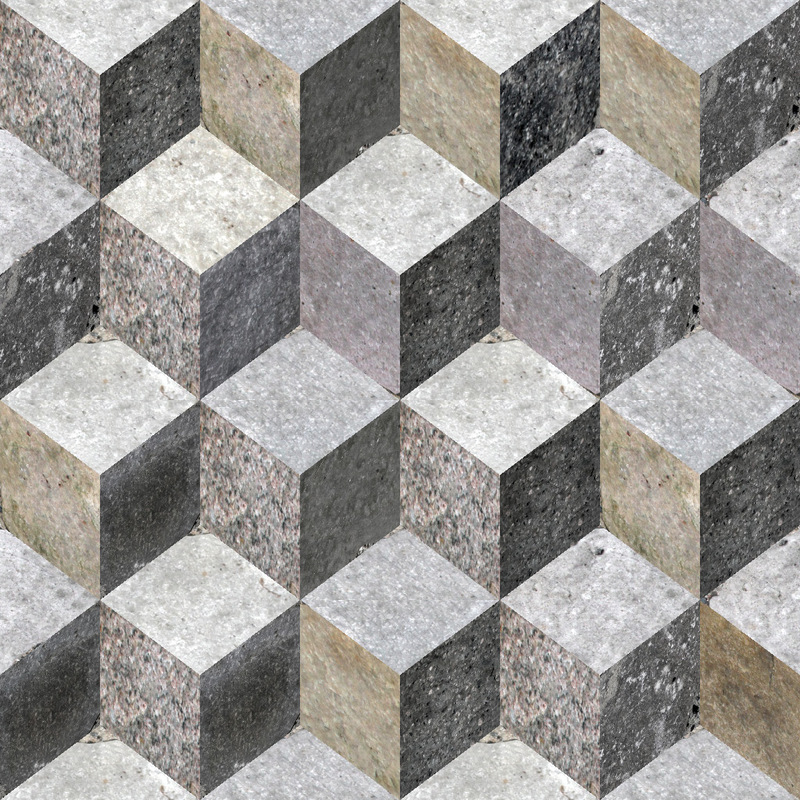 This way it´s easy to create edges for displacement, bump or just for gaps between shapes. Procedural Maps can be used for the shapes. 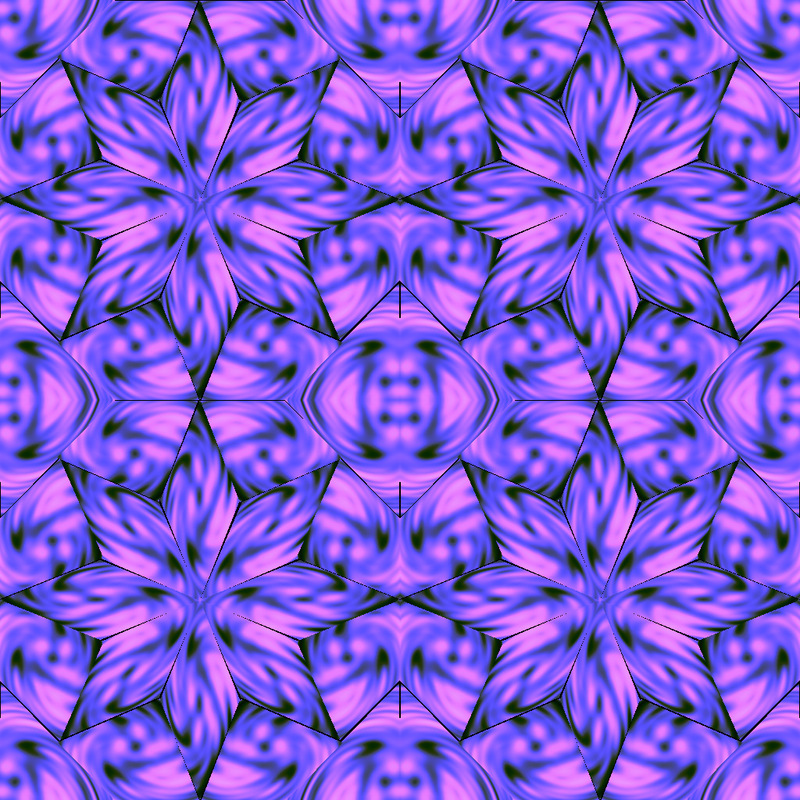 In this example, a swirl map was used inside of a Kaleidoscope pattern. Using Crossmap with Omnitiles mode selected, bitmaps will be randomly (or in a linear sequence) distributed among the shapes of a pattern. 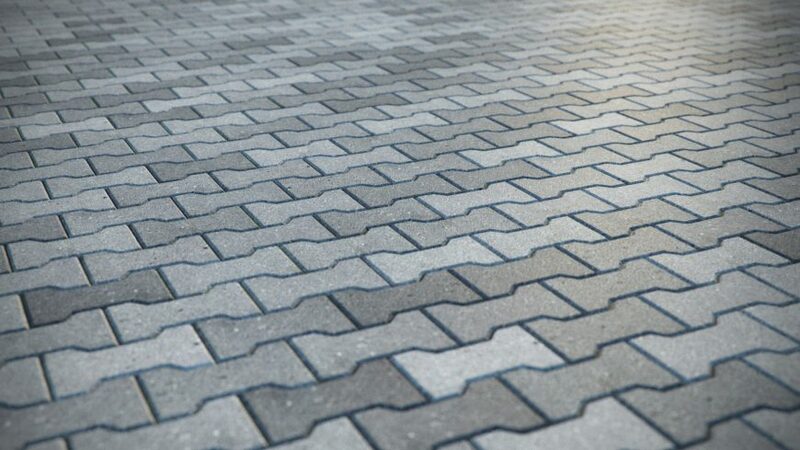 A Gradient Ramp map with MAP CHANNEL SET to 95 can be used for mortar, gaps, edges in any material channel. Using Color Extract will use all colors for the shapes, which is useful to colorize bitmaps or randomize displacements, reflection or other material channels. 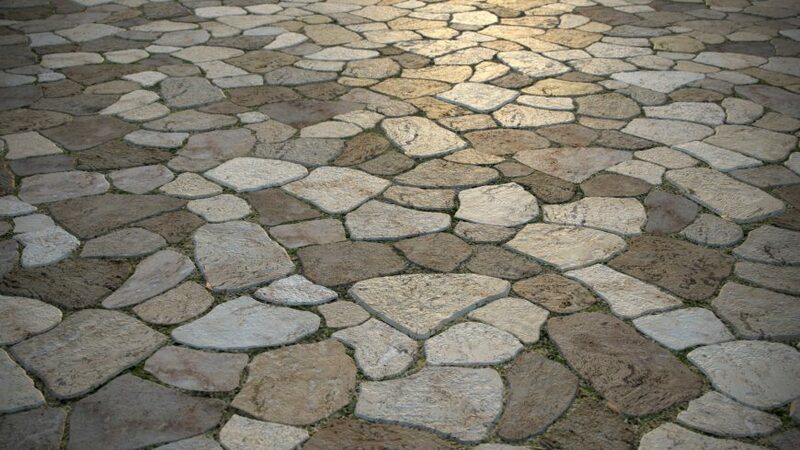 Omnitiles can be nested in itself, which means that you can use the same or different patterns in all shapes or each shape separately. This example uses the same pattern (Diagonal Tiles II) for one Shape of itself and again in itself. Another diagonal shape uses a Crossmap for the red stone tiles. When using Crossmap as source for the shapes, you can match the loaded bitmaps to a source map with the COLOR MATCH feature of Crossmap. Just load a bitmap or a procedural map as Input Map, adjust average colors in Crossmap and create your own mosaic, based on any pattern, not only square tiles. Using a different set of bitmaps (e.g. 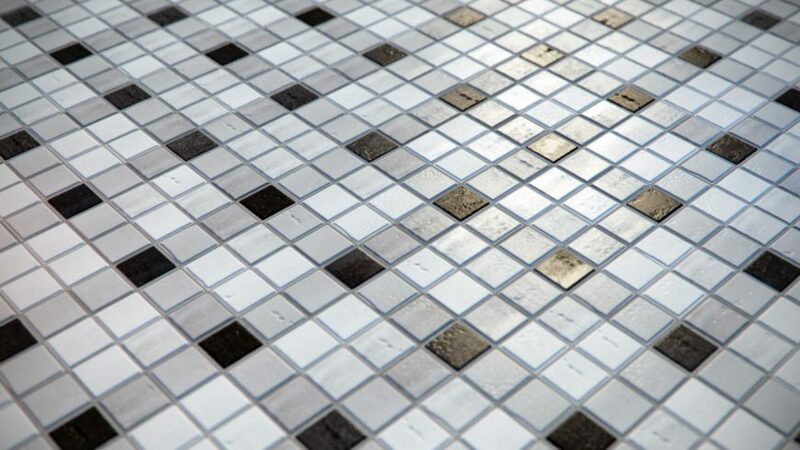 2 colors, 10 colors or 100 colors) in Crossmap will provide you with mosaic results never seen before. Within the Omnitiles map itself, you can add a MASTER Shape map, which then will be used for all shapes together. 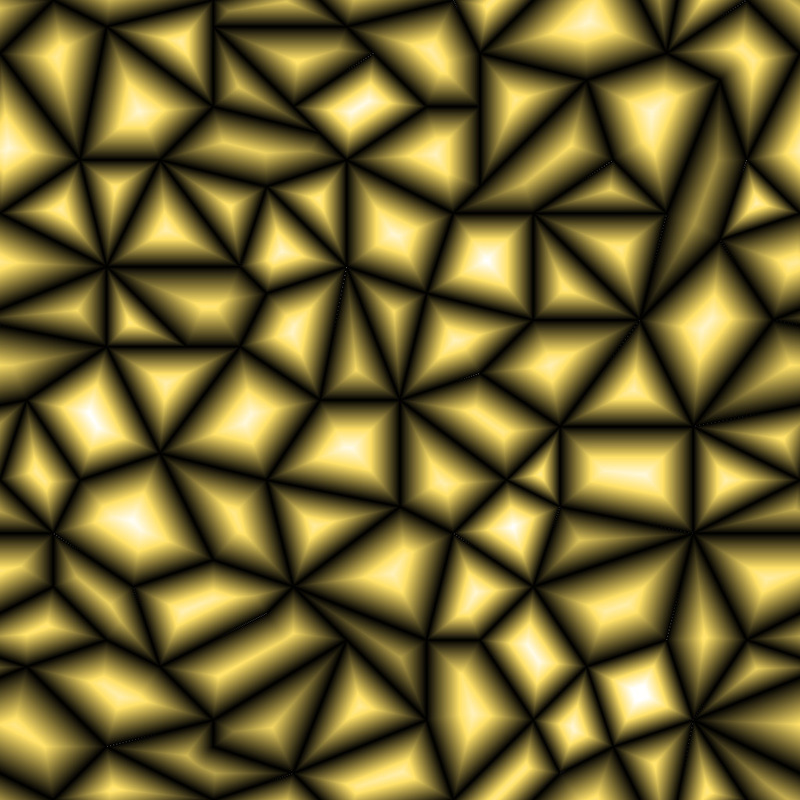 Either use a procedural map, a bitmap or CROSSMAP to randomize bitmaps for every repeating shape in a large pattern. You can even use COLOR EXTRACT to add multiple colors to each shape for more color variation. 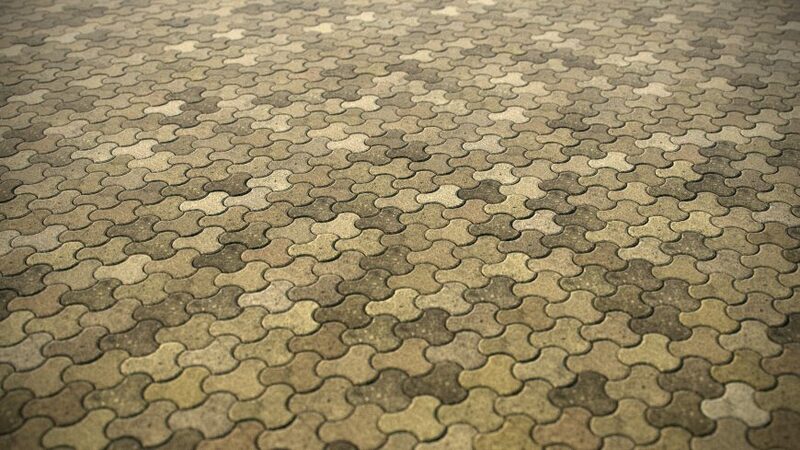 If you want to use different maps for a specific shape, you can add a dedicated map to every single shape in a pattern. The Shape Maps list can be used to assign maps to any shape. Again, each map can be a simple bitmap, procedural map or CROSSMAP / COLOR EXTRACT. The internal mapping of Omnitiles offers a special feature for borders. Using the 3ds max Gradient ramp map with the UV map channel 95 will draw the gradient around the border of the shapes. 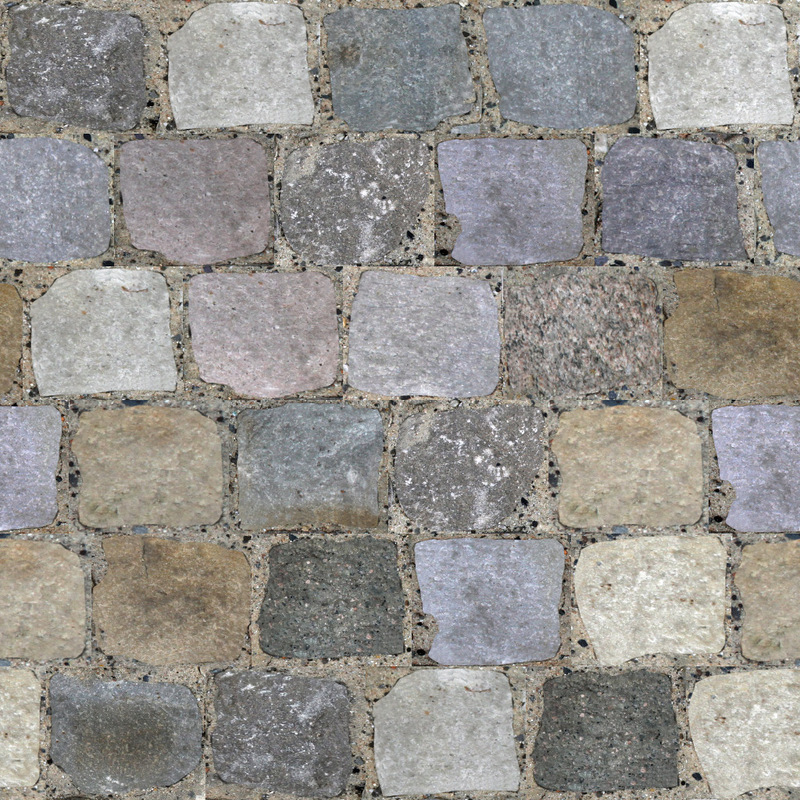 This way it´s easy to create displacement borders or advanced gaps / mortar around the edges. Only the main Shape has a Crossmap with multiple mosaic bitmaps loaded, so no additional maps are used for specific shapes. This way, all bitmaps are randomized across all shapes. 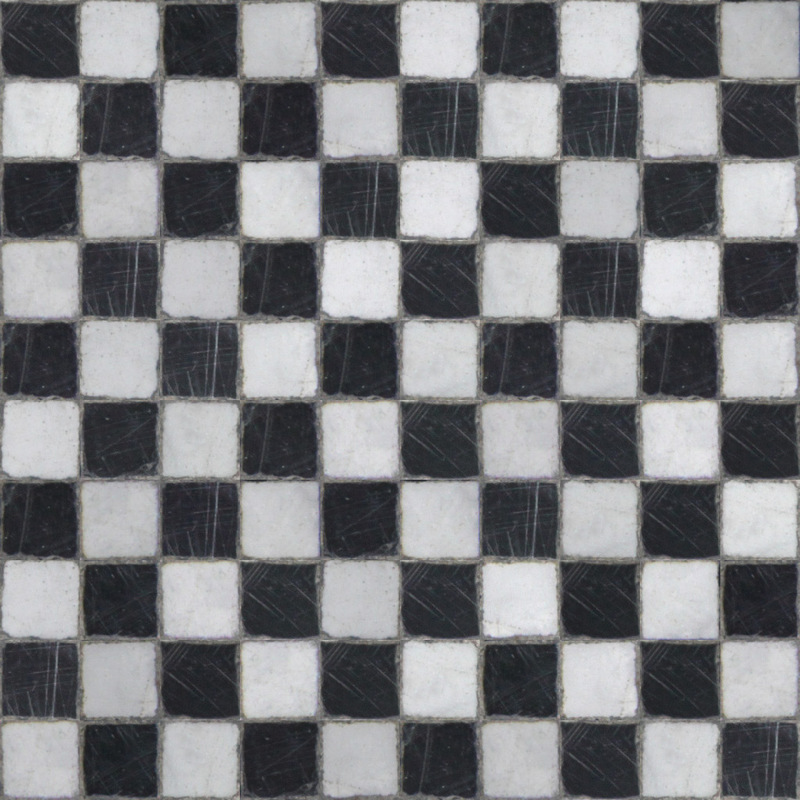 This example Checker uses one Crossmap as main Shape map with white bitmaps and another one that was instanced in two slots of a square pattern with just black bitmaps. The example uses three different Crossmaps, each with different bitmaps loaded for bright, dark and colored shapes. The example also uses different bitmaps in three different Crossmap maps, for bright large shapes, smaller brick shapes (red) and dark mid-sized shapes (black). The online User Library provides even more presets and a growing repository of shared materials by other users and VIZPARK. 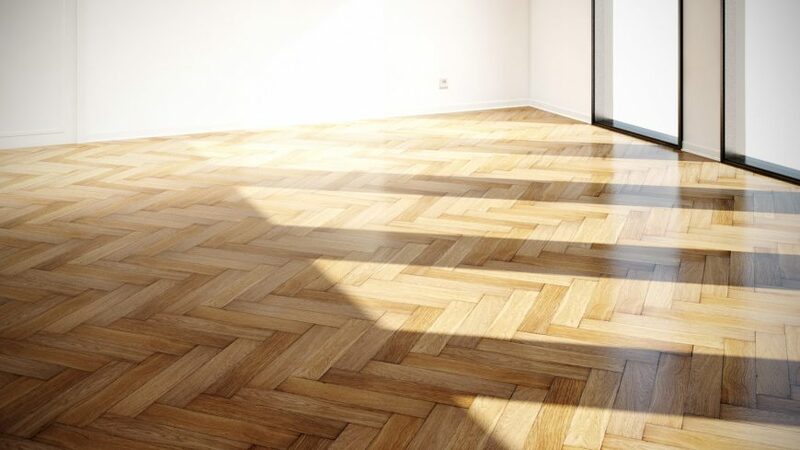 The materials can be downloaded with the Material Manager 1.1 LE which is included in the installation. To download or upload and share presets, a valid VP User account is required. The OMNITILES online reference guide includes a detailed description of each parameter with rendered examples of the most important parameters and their results. For more information, please take a look at the reference guide. The reference guide is also available through a link from within the Omnitiles GUI header. More information will be available in the TUTORIALS section and the ONLINE FORUM. If you are stuck, you can also use the DIRECT SUPPORT form and send us your request. 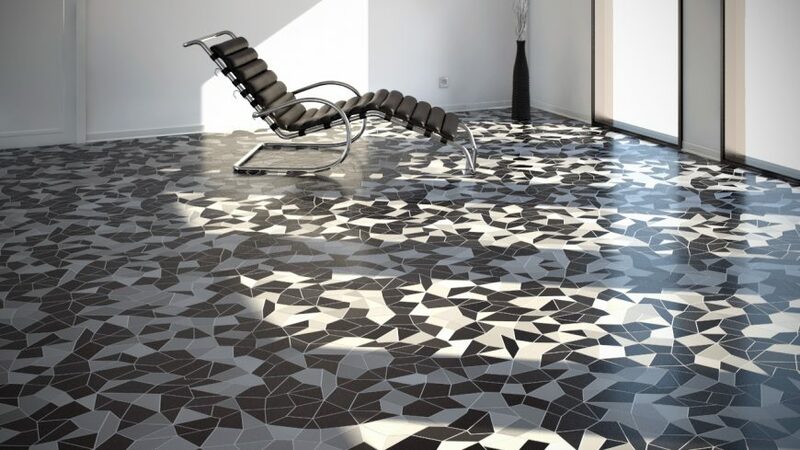 OMNITILES offers unlimited flexibility to create any material patterns directly within 3DS MAX®. 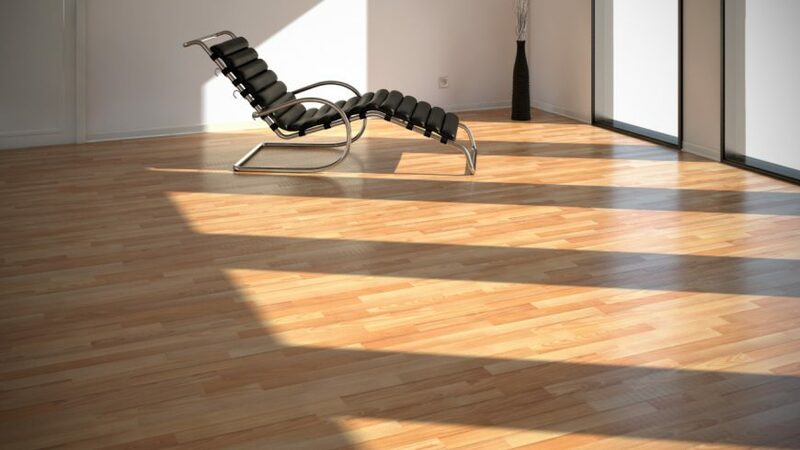 As a vray, standard or corona compatible map, Omnitiles can be integrated into the normal shading workflow. Create patterns with the included Pattern Editor, choose from the 80 included pattern presets or use the online User Library with more free presets. WHICH PLUGIN IS RIGHT FOR ME ? 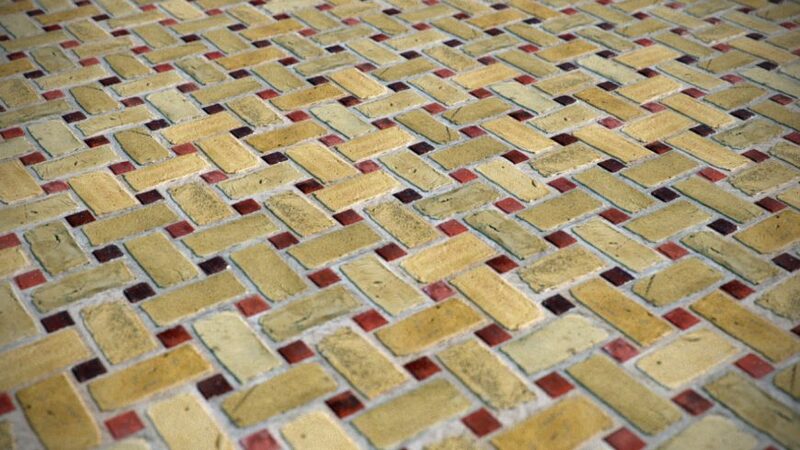 You might wonder why there are several products doing similar things, like Omnitiles, Walls & Tiles, Crossmap and Mosaic. 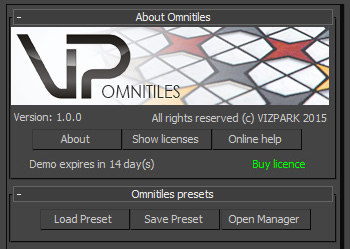 Omnitiles is available as separate product, in the PLUGINS Complete bundle with more plugins or in VP COMPLETE with all other VP products. Out standing, what this gem of a plugin can do. Love the ease of use and complexity that can be created so eaily. Work perfect with this plugin! I can not believe that there is a plugin that can do extraordinary things. 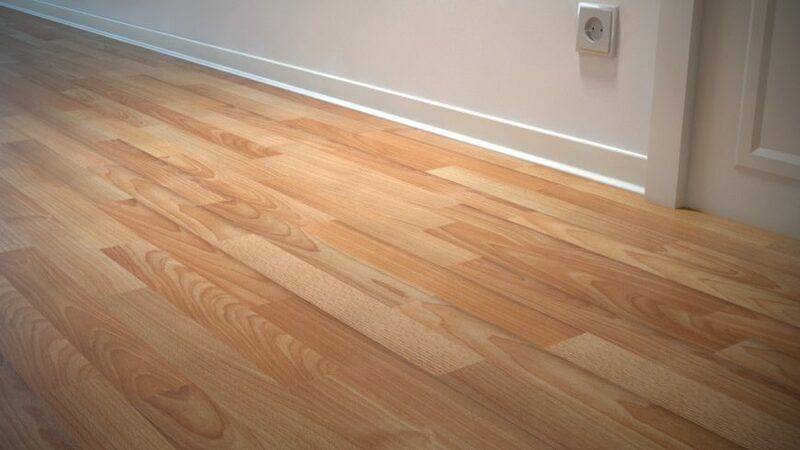 Create complex floor easier. This plugin has a lot of different variations. Now your work will be much more beautiful. Good luck to all!